We wrapped up the series Circles and the 21 Day Daniel Fast this past weekend. What an incredible experience! I learned so many valuable lessons about myself, my church, and God’s faithfulness. Mark Batterson says in his book The Circle Maker, “Praying hard is praying when it is hard to pray.” I added my spin to that saying, “Learning to pray hard comes when we are disciplined to pray even when it is hard, even when we don’t feel like it, even when we don’t want to.” It is so ironic how God has allowed me to live out the biblical principles I teach in my sermons at City on a Hill Church. This past Friday I was tired and hungry. I have learned the H.A.L.T. lesson a couple years ago from a friend of mine. Don’t make any decisions when you are Hungry, Angry, Lonely or Tired. I’m glad I pulled that up from the recesses of my mind and someone else reminded me of it a few weeks ago in an email. God knows just what we need and will bring it back to our memory just at the right time. Anyway, it was Friday my usual Sabbath day I spend in prayer. Well I didn’t feel like praying at all. I didn’t want to pray. My want to was busted! I didn’t want to do anything. Luckily I have a workout partner that I committed to for a work out so I fulfilled my commitment and had a decent workout. Didn’t want to but I did. Afterwards I didn’t want to go to Fort DeSoto and pray. I just didn’t want to which is totally unusual. I usually always look forward to my time with Jesus. I was tired, hungry, feeling lonely and a little bit angry. I had all of the symptoms for making a bad decision. But I believe in being a man of my word. I really strongly desire to see God working in my life, my family, my church and this city so even though I didn’t want to I went. My prayer time started out like this, “Well God I really don’t want to be here today, but I guess you already know that. I am going to practice the discipline of prayer right now and trust you with the rest so here it goes.” Literally that is how it started, two hours later I was still going strong! I couldn’t believe it. I didn’t even want to be there now I didn’t want to leave. In the middle of that prayer time God spoke to me clearly. You see I have had an addiction to Diet Pepsi I couldn’t break. Correction I didn’t want to break. All my life I have struggled with food addiction, not to goof healthy foods but to bad foods. In the middle of my prayer God spoke to me in my spirit and said, “Hey Mike when is the last time you had a Diet Pepsi?” I answered, “January 8 at 5:55 pm.” The Spirit replied, “Your devotion to me is stronger than your addiction.” I was totally floored by this revelation. Then I heard in my spirit, “Hey Mike when is the last time you had sugar, salt, cheese, eggs and meat?” I replied, “Lord you know none of that has touched my lips since January 8.” The Spirit replied, “Your devotion to me is stronger than your addiction.” I just began to worship and praise God thanking Him for this experience and calling me to this fast. I didn’t want to but God requested and I answered. Sometimes we have to push through things that we don’t want to do to see the things that we do want to see. Sometimes we have to do things that we don’t want to do to get to do the things that we do want to. I didn’t want to wait seven years to pastor a church but I wouldn’t trade this journey for anything. I always thought that I would pastor an established church I didn’t want to take the long, hard road of planting a church from the ground up but it has been the most incredible faith filled, powerful, rewarding and challenging adventure of my life and I thank God everyday for calling to me to it. A lot of times I don’t want to go to the gym, but I want to have a long vibrant healthy life. Many times I don’t want to bring correction to people, but as a shepherd and leader I must if I truly love them. Life is filled with want to’ and don’t want to’s our job is to be obedient and follow the leading of the Holy Spirit even if we don’y want to. I would have missed that special revelation that was just for me if I did want I wanted to which was waller on the couch. Learning to pray and living a life of faith will require us to do things that we don’t want to do to get to do and see things that we do. Learning to pray and fast when we don’t want to will teach us what it is to truly pray and seek God’s face. Praying and living a life of faith in adversity when we don’t want to will mold and shape us into the people God has called us to be. Praying and living a life of faith when we don’t to will release miracles in our lives and the lives of others. Ask yourself today, What good thing don’t I want to do? What is God asking me to do that I don’t want to do? Now ask yourself why? Why don’t I want to? Perhaps it is thing that will give you your greatest breakthrough and you are one prayer away. Perhaps it is time to change our perspective. Even if we don’t want to, we get to! We get to pray to a God who hears. We get to openly go to a house of worship without persecution. We get to offer a hand up to our brothers and sisters in Christ. I know it is easier said than done, but how do you climb the highest mountain? One steps at a time. How do you learn to hard pray? One prayer at a time even when you don’t want to. How do we learn to live a life of faith? One day at a time by the grace of God. Be encouraged! This is the last week of the 21 day Daniel Fast at City on a Hill Church. Sunday January 29, 2012 we will also wrap up our series Circles: Praying Circles around our future and our fears. We began the Daniel Fast in conjunction with the Circles series under the prompting of the Holy Spirit. Something miraculous happens when you call a whole city to fast, pray and seek God together. During this series I shared our bold vision and I even got very specific about our coming miracle. I shared what God had placed in my heart and what has been confirmed to me by numerous people through dreams and visions. I shared that I believe God is going to give us a building debt free to His glory. The reason this miracle is so significant is because the leadership of this church has agreed to never be a slave to the lender. We will never enter into financial debt in any way, shape or form. We believe where God guides He provides. Our current rented space is proof of that. We meet in, what I call, our 11,000 square foot miracle. It is a Recreation Center filed with everything we need and more to accomplish God’s purposes. However, we are limited because our vision far exceeds a once a week meeting space. Our vision is to have a building where we can have discipleship classes throughout the week, a youth mentoring program, an after school program, a martial arts program, Wednesday Night services with a full compliment of ministries for Children and Youth, a car care clinic for single mom’s and the elderly, counseling center, preschool, an extension campus for seminary to produce church planters, pastors and missionaries ultimately to build, become and be a city within a city reaching our city with the life changing message of Jesus Christ one life at a time. Just sharing that vision about someone buying us a building or giving us a building is pretty bold. I get it but I can’t shake it and it has been confirmed multiple times without ever being shared by multiple people. So with my eyes wide open I search the city, circling it looking, believing and trusting. Is it the abandoned school on 38th Ave North? OR 83rd Ave. North? Is it the abandoned Sears building on Dr.MLK St. North just north of our church? Is it a church building waiting to be gifted by a congregation who has served God’s purposes in their generation? Is it an abandoned church building? I don’t know! What I do know is I have to keep my eyes wide open. I am truly encouraged by Elijah’s story in 1 Kings 18. Elijah was in need of a miracle. He kept circling and praying asking God for rain. He prayed and looked and prayed and looked and prayed and looked. He had his eyes wide open. Check it out. 1 Kings 18:43-45 (ESV) 43 And he said to his servant, “Go up now, look toward the sea.” And he went up and looked and said, “There is nothing.” And he said, “Go again,” seven times. 44 And at the seventh time he said, “Behold, a little cloud like a man’s hand is rising from the sea.” And he said, “Go up, say to Ahab, ‘Prepare your chariot and go down, lest the rain stop you.’” 45 And in a little while the heavens grew black with clouds and wind, and there was a great rain. And Ahab rode and went to Jezreel. What an amazing story! Elijah prayed and kept his eyes wide open looking for his miracle. It hadn’t rained in three years but that didn’t stop him. He prayed and kept his eyes wide open. That is what I am doing. I am praying and keeping my eyes wide open, expectantly waiting for a phone call or office visit or divine intersection. I know that I know this is going to happen. I don’t know when but I know it will happen. I don’t know how but I know it will happen. I just have to keep my eyes wide open. One day I will see “a little cloud like a man’s hand rising” and I will get ready for a downpour. A year ago I treasured these dreams up in my heart keeping them between me, God and the people who shared them. Now I have made them public. Who knows maybe the person God is going to use to make this miracle come to life will be reading this blog? I just keep circling, praying, and fasting with my eyes wide open. I encourage you today. I don’t know what you are trusting God for. I don’t know what God has whispered to you. I don’t know what promise you are clinging too. 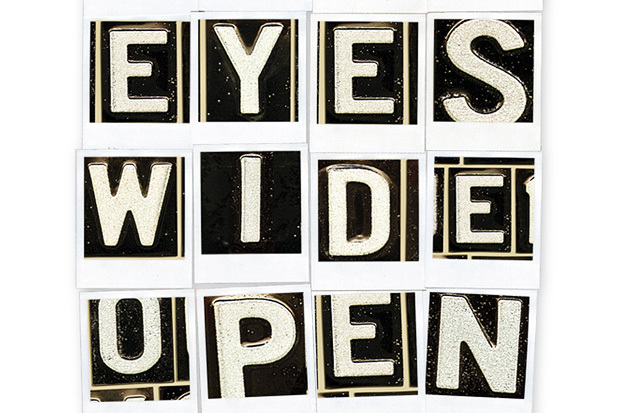 But I do know you should keep your eyes wide open. Your cloud may be rising today. Watch the horizon and the sky with your eyes wide open. Be encouraged! Ephesians 5:11-12 (ESV) 11Take no part in the unfruitful works of darkness, but instead expose them. 12 For it is shameful even to speak of the things that they do in secret. I want to open up a little bit and give you a peek behind the curtain into the life of a church planter/ pastor, but really I believe this is a reality for every Christ follower. I call it “Blue Monday”. Yesterday I preached my heart out at City on a Hill Church, like I do every week. I mean I left it all on the platform. I felt the anointing of the Holy Spirit and the magnified, multiplied presence of God. When I preach I preach like I will never see the congregation God has called for the North, South, East and West before me ever again. The harsh reality of that is it is very true. I will never see that exact group again. So I preach the Gospel passionately and open myself up being as transparent and authentic as humanly possible. I don’t know any other way to preach. God has blessed my offering and we see Jesus Christ changing lives weekly. It comes at a high price. You can not strike into the heart of darkness and not expect retaliation. I wasn’t finished more than 30 minutes and the enemy of my soul started in on me. It is not new it happens every week without fail. I know I preached exactly what I was lead to preach. I know the presence of God was there. I know it was a victory and we saw lives changed, addictions broken, hope restored, lost people found, wanderers come home, and miracles, signs, and wonders. In all of that I start to get the blues. I call it Blue Monday but it usually starts Sunday afternoon. I have learned in my life, DON’T MISS THIS, one of the greatest ways to deal with our struggles is to share them, call them out, expose them and remove the power from them by sharing them with God and others. Just sayin’. As I look through the scriptures I am comforted because I am not alone. Elijah, one of the greatest prophets to ever walk the earth struggled with this too. I challenge you to read 1 Kings chapters 18 through 20 and you will see what I mean. Elijah is coming off one of the most powerful victories in his life against the prophets of Baal in Chapter 18. He was so confident in God to show up that he did some pretty bold things to prove the power of God. One short chapter later (19) we see him hiding in a cave with the blues. Elijah was having his own personal Blue Monday. We see him hiding and crying out to God questioning his call, questioning if God would provide and protect him. The dude was truly in the cave I call Blue Monday. The coolest thing about the story is that God met Elijah there, reassured him, comforted him, and put him back on mission. One short chapter later (20) God also sends in help, God sends him Elisha. I know this applies to us all also because of the parable of the sower Matthew 13:1-23. Whenever the Word of God is sown the enemy of our soul is there to try and steal it, trample it and keep it from taking root. Our prayer should be that God would prepare our hearts to be good soil. Listen every seed that goes into the ground must die to produce it’s harvest. I pray what dies in my heart isn’t faith but doubt. I pray what God did in my heart every week germinates, takes root and produces fruit. I pray this for everyone who was with us yesterday and every Sunday. I can’t let Blue Monday steal what Resurrection Sunday purchased for me. I imagine there are many who experience Blue Monday after a spiritual victory in their lives. For this pastor/ church planter it comes without fail. I battle it willingly to see the life change God has favored City on a Hill Church to see in our short 20 month old existence. Don’t get me wrong it doesn’t make it any easier. Our enemy is crafty. The past two Mondays have been bluer than most because our whole church has been called to the Daniel Fast. Fasting brings a whole new dimension to Blue Monday. Even my leadership has been called into question by the enemy of our soul. Rather than focusing on those joining in the fast the enemy tries to bring my attention to those not participating in the fast. I just try to ignore his accusations and celebrate with those who took the challenge. To say it doesn’t sting just a bit wouldn’t be true, but I have to keep in mind City on a Hill Church was birthed out of my fasting and prayer. I can’t focus on those not feeling the call to fast I have to focus on everyone. I must not allow accusations to make me feel anything but love and affection for all of the precious people God has called me to shepherd. Even as I type this I battle Blue Monday intensely. I should have expected it because the presence of God was so intense in our service yesterday. I saw many people undeniably connect with God. For those of you who did I pray this blog crosses your path. 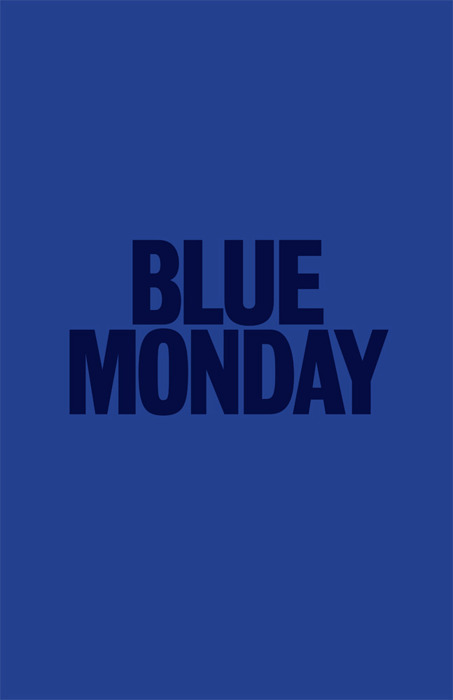 My suspicion is that Blue Monday will try and creep in so be on your guard. Battle it through prayer, praise and prejoicing. I shared this blog for numerous reasons. My hope is to garner prayer support, call out a personal struggle, expose the enemy’s tactics and end isolation. Next week I will preach my heart out like I have since we opened. I will be just as transparent and authentic as I can humanly be. I will speak what God has put in my heart and say what He anoints me to say. I have heard it said, “To be forewarned is to be forearmed.” So I will be ready when Blue Monday comes a callin’. Why? Because I know help is on the way! God will give us our Elisha we just have to get out of the cave. If you think about it I should be happy when Blue Monday comes because it means City on a Hill Church is coming off another victory to the glory of God. Be encouraged! Have you ever heard someone say, “Don’t miss the forest for the trees.” It means don’t miss out on the here and now. It means don’t take things for granted or treat something holy as common. Don’t miss today’s miracle waiting on tomorrow’s. Did you know there is a time when we stop living out of our imagination and start living out of our memory? When this happens we can and will never go anywhere than where we have already been. We must be careful to not allow ourselves to live out of what has happened and continue to live out of what could happen. Mark Batterson in his book The Circle Maker says, “Imagination is he road less taken, but it is the pathway of prayer.” The bigger our imaginations are the harder we will pray. “When imagination is sacrificed on the altar of logic, God is robbed of glory that rightfully belongs to him.” God isn’t worried about how big we can dream. God is honored when we dare to dream God-sized impossible dreams. In the middle of all of this we must be careful not to miss today’s miracle looking for tomorrow’s miracle. Take our story here at City on a Hill Church. Our first miracle was Native Sun warehouse. We needed a place to have our Launch Team meetings. Josh Chewning and I were meeting and I was sharing my dream of City on a Hill Church with him. We went and spoke to his father in law and mother in law and within a few hours City on a Hill Church had of first home and miracle, the Native Sun warehouse. While that was happening God was at work behind the scenes preparing Brad and Leisa Rice’s hearts and the Willis Johns Recreation Center. We met at Native Sun for two weeks and then we moved into this 11,000 square foot miracle right in the center of the city. I drive by The Willis Johns Recreation Center daily rejoicing and praising God remembering the day Brad called out my name and we talked then Leisa called me at 9 pm that night asking to meet. We met the next day and our second miracle happened. Not only did we have a place to meet but we were blessed to add Brad and Leisa to our church family two miracles inside this miracle. Don’t miss that. Brad is here every single Sunday partnering with our Facilities Team to transform this place into a house of worship. Leisa has recorded our church history on film picture by picture miracle by miracle. Don’t miss today’s miracle looking for tomorrow’s. With that being said I know that God is preparing a permanent home for us somewhere in this city. I’m not looking past this miracle every week I rejoice for the Willis Johns Recreation Center I call it our 11,000 square foot miracle. However, I know and it has been prophesied, dreamed, and envisioned to me that someone is going to give or purchase a debt free building for us one day. I have been praying circles around this all the while rejoicing in this miracle. I PREJOICE in the miracle to come knowing God didn’t just give me this vision and dream but it has come to me multiple times by multiple people. Willis Johns is God’s Tabernacle and miracle to come will be God’s Temple. Who knows how long it will take? God! I am perfectly content to stay in our 11,000 square foot miracle until God says move, Native Sun said we could stay as long as we needed and we were happy to stay there until God said move. Native Sun will always hold a special place in my heart it is our first home. Just making these claims out loud and in print can make me seem foolish. What I am saying is absolutely crazy I know but two years ago I had Jesus and a dream and it looked foolish too. I told people if this didn’t work out I would leave the ministry because I would know I couldn’t hear from God. They told me not to paint myself into a corner. I drew my circle and stood my ground, I had no escape clause. Faith is willing to look foolish. Noah built an ark in the desert, David a shepherd boy took the battlefield against a giant, the Israeilte army marched around a city 7 times, the Magi followed a star, Moses went to Pharoah and said, Let my people go, Mike Conaway said, “I have Jesus and a dream called City on a Hill Church.” In all of this I encourage you don’t miss today’s miracle looking for tomorrow’s rejoice in today and PREJOICE in tomorrow’s. Don’t get weary in well doing. Don’t let the holy become common. Circle your future and face your fears. Give your miracle a name. What is it? A dollar figure? A relationship? Healing? Family member’s salvation? Your salvation? Take a look around God may be closer than you think. Don’t miss today’s miracle waiting on tomorrow’s. Be encouraged! Sitting here in my office today filled with expectation and anticipation for what this year holds I couldn’t help but look over my shoulder and the work of God’s hand, His amazing grace and His undeniable favor upon our church. I thought I would share a few of these highlights with you in hopes that it will stir up our imaginations and stoke the fires of our dreams as we prepare to pray circles around our future and fears. As we enter into a season of prayer and fasting for our futures individually and collectively I want us to see all that God has done in and through us. COAH’s Women’s Ministry TLC had their first Women’s Retreat with over 70 ladies in attendance and God met them in powerful ways. Relationships were made and friendships were born. The Board of Trustees became an ordaining body and ordained Pastor Mike Conaway through City on a Hill Church. What a milestone! We hosted the Love and Respect Marriage One Day Conference. We also had 10 families dedicate 12 babies and children at our first Dedication Service. We joined together in prayer with thousands of believers around the Tampa Bay area Seeking God for the City from March 9 through Easter. We gathered together with our Launch Team to celebrate one year of loving God and loving People together. We ordained our first minister Denise Webb through City on a Hill Church. We went out into our city with the “Fan Out” outreach handing out 1000 hand fans and lollipops to the folks at the Festival of States day parade. May 22 we celebrated our one year anniversary with a Picnic and celebration. We hosted Marc Mero – The Champion of Choices and had record breaking attendance of 450 to the glory of God in the middle of the summer! We visited 500 homes in our community distributing back to school supplies and invites to our Blessing of the Children service. We hosted a Blessing of the Children, Faculty, and Students service on Sunday morning. We sent our first foreign Missions Team of 21 people to Belize for a life changing missions trip. We had a Commissioning Service, Picnic and baptized 25 more people to the glory of God! 8 were spontaneously baptized in their street clothes after hearing the Gospel and responding. Glory!! City on a Hill Church moved into our first permanent office building at 5524 Haines Road. We took the whole church on a missions trip to our city through “For the City” outreach visiting over 500 homes distributing bread and the love of Jesus in partnership with the Dream Center and we distributed love and hope giving out hundreds of blankets and pairs of socks to the homeless. Over 100 City on a Hillers joined in! We gathered 171 Operation Christmas Child boxes and sent them to children around the world. We had another Stuff Swap that blessed our church family and local charities. We had over 70 people ride on the float or march in the city’s Christmas Parade handing out 5000 candy canes and invitations to our Christmas series Sing! We lived out or core value of being blessed to be a blessing through the Christmas Blessing. We had 15 families in our church family need of a blessing and 17 families in our church wanting to be blessed to be a blessing meet their needs, glory to God! We hosted our annual Christmas party for our Ministry Team and celebrated with 150 people God’s grace to us as a team. We had 350 in attendance on Christmas Day at our special Family Christmas Service. Our average attendance grew from 180 weekly to 280 weekly, I am left in awestruck wonder as God draws the lost and wanderers from around the city as we lift up Jesus. Many experts would say that a church plant should keep everything that comes in the first three years. If COAH did that we would not be living out our core value, “We are blessed to be a blessing. God has given us a certain amount of time, talent and treasure and He expects us to use it to bring glory to Him.” Luckily our people believe this with their whole heart and live it out as they give faithfully as God blesses them to be a blessing. In our first full year we were also able to give $27,500 dollars (this does not include giving in 2010 or the Belize trip income and expense these are separate) to local and global missions through our partnerships with The St. Pete Dream Center, The Next Step Pregnancy Center, Double Portion Ministries, Zion International Missions Ministry, the Association of Related Churches, A21 Campaign, the Smith Family Foundation, St. Vincent DePaul and benevolence within our church (you have to love your church family, right?) and city. What a year to the glory of God! Here is what I know, “We may not be everything we are going to be but we are everything we ought to be.” This year we made it our mission to show our city and the world, “It is all about Jesus, it has always been about Jesus, and it will always be about Jesus.” By living and doing what we believe we have experienced God’s favor and He has allowed us to build, become and be a city within a city reaching our city with the life changing message of Jesus Christ one life at a time. I want to say thank you to the incredible Ministry Team at City on a Hill Church. I pray for you and I thank God for you daily. 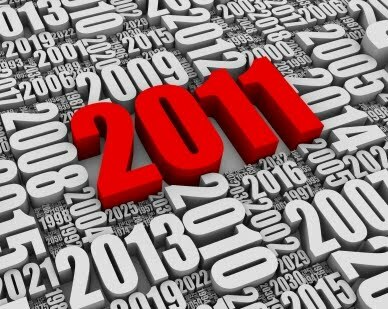 I can not wait to see what 2012 has in store for COAH. I am praying circles around our future! Greater things are yet to come and greater things are still to be done in the city! Be encouraged! Hebrews 11:30 (ESV) By faith the walls of Jericho fell down after they had been encircled for seven days. As we enter this New Year I am making no resolutions. Rather than make a resolution I am seeking God and asking Him to let me be a part of His revolution. Sunday January 8, 2012 City on a Hill Church begins a series Circles: Praying Circles Around Your Future and Fears. During that time I believe God has led me to call the whole church to a 21 day Daniel Fast. Make no mistake this fast isn’t about a New Year diet this fast is about seeking the face of God for and getting a fresh vision for our lives as individuals and our life as the Body of Christ. Here is what I know, it is not going to be easy. It is going to require faith, determination and much, much prayer. As we face this new year I am full of expectation and anticipation for me as an individual, for my family, and for City on a Hill Church. I believe this year our church is going to double in size at least if not triple. I believe we are going to see lost people brought to salvation, wanderers restored and back in right relationship with God, Christians called into discipleship (not every Christian is a practicing disciple), and missionaries sent into every culture within our city. I will be sharing what I have been praying circles around these past few weeks and what I am committed to praying circles around until I see them come into existence. I am inviting everyone to do the same. To seek God for a vision for their life and future, to face their fears with God as our bodyguard, to pray circles until we see our future clearly and our fears shrink. Here is what I also know, this year is going to be filled with victories like we have never seen. I also know that we will fight brutal spiritual battles in our homes, neighborhoods schools and churches. We can not strike into the heart of darkness and expect no adversity or counter strike. That is why I believe fasting and praying is so critical. City on a Hill Church has been birthed out of prayer and fasting and has remained a growing and vibrant church because of daily prayer and fasting. I have been praying circles around our church since before we even came into existence. I have prayed circles for unity within our body like Jesus prayed John 17 over our church for months and months. The awesome thing as I read the biblical account from the Jericho march is that by faith they circled the city for seven days trusting and hoping against all hope. They knew God was going to do something and so they simply circled and obeyed. What about you? Can’t you sense God wants to do something in you and through you? I encourage you to keep circling you may be on the seventh lap. What if they stopped at lap six? There would be no walls of Jericho recorded in history. What if we stop, quit, give in, or give up? We won’t make history we will be history! Break the walls down by praying and fasting and seeking God for your life and the life of your church. Circle your future and then circle some more. Circle your fears and then circle some more. Even as I type this the enemy of my soul tries to put negative self talk, negative thoughts, and negative visions of the future in my mind. I refuse to listen. I will keep circling my future and the future of City on a Hill Church, I will keep circling my fears in prayer and trusting God. To quote a song, “Every thing that I have, every breath that I take until it’s my last. Every beat of my heart, every step that I take until there’s no more. Lord I live just to give my life to you.” I have been circling this prayer and proclamation for the past 6 years when the enemy tried to steal my life and future from me. 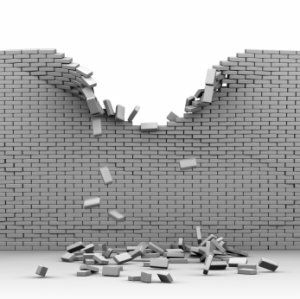 Break the walls down this year. Circle and then circle back and then circle forward and then circle again in prayer. 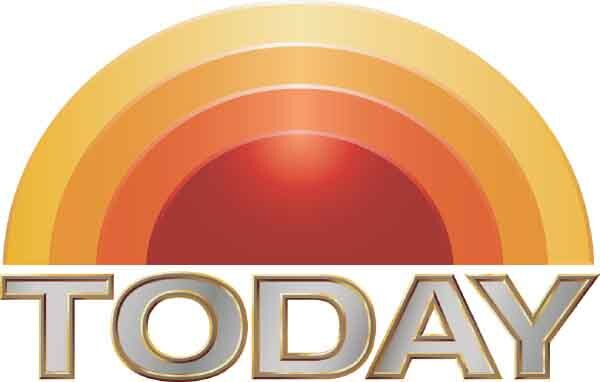 I am so ready to get this 21 day fast started. I am so ready to experience God in ways I have never experienced His presence before. I am so full of expectation for the next four weekends at City on a Hill Church. I can only imagine the intensity of the worship, prayer, and preaching of God’s Word as a whole church fasts and prays together. I can only imagine the visions and dreams that God is going to give to those who seek Him. I can only imagine what God is going to do in my life. I can only imagine what God is going to do through City on a Hill Church. Here is what I know, before He can do it through us, He must do it in us. Break the walls down! Be encouraged!